Great date night - dinner, percussion, and chocolate. Great times are there to be had in our own backyard(s). Julie and I finished up at the store, came home to walk the dog and prep for our night with the Grand Rapids Symphony http://www.grsymphony.org/ - with special guest Dame Evelyn Glennie. We started with a visit for dinner at Marco New American Bistro at Forest Hill and Cascade Roads. http://www.marcobistro.com/ I went with French Onion soup and a wonderful House salad - and we split "gratin exotic mushrooms baked in herbed mushroom broth, fontina and asiago cheese". Double yum. Neither of us drank since we were heading out and we didn't have time for dessert, but we enjoyed everything our own Ella Bella set before us (she makes a mean Long Island Ice Tea, by the way). 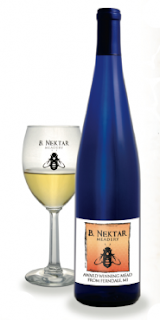 B. Nektar Mead: Something else to love from MICHIGAN. Julie Claire surprised me with a bottle of B. Nektar Mead - specifically one of their bottles of Tupelo Honey Mead (limited supply, but still available http://www.bnektar.com/). Very, very delicious. Not too sweet, but sweet enough. Yummy for my tummy. Fun in Cleveland - born again in 3D. 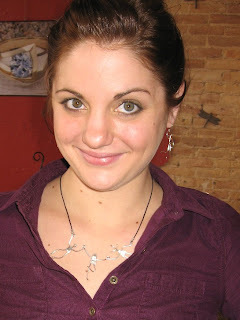 Wheew - me n the Jules celebrated 4 years of marriage at the Mecca of the Midwest: Cleveland. we had a great time. 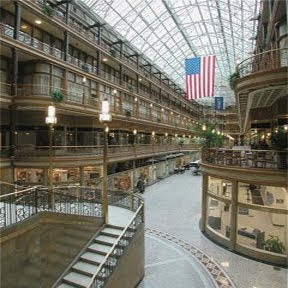 Stayed 3 nights at the Hyatt in the Arcade. Right downtown. Maria took good care of us - we had some problems at check in, but she came through - got things straightened out and helped make the stay great. John works out in front of the hotel and he is a HOOT. He sings, smiles, salutes and generally makes you feel good - and he was doing this when it was snowing and 15 freakin' degrees! FYI - the Hyatt has a Chocolate Bar restaurant attached to the North end (on Euclid). Julie and I had a desert there every night for 3 nights. Like chocolate - then you gotta go there. We started our three days with some fun at the Pickwick and Frolic Bar - they have a comedy club downstairs (Hillarities) and we caught the early show on NYE with Sebastian Maniscalco as the headliner.